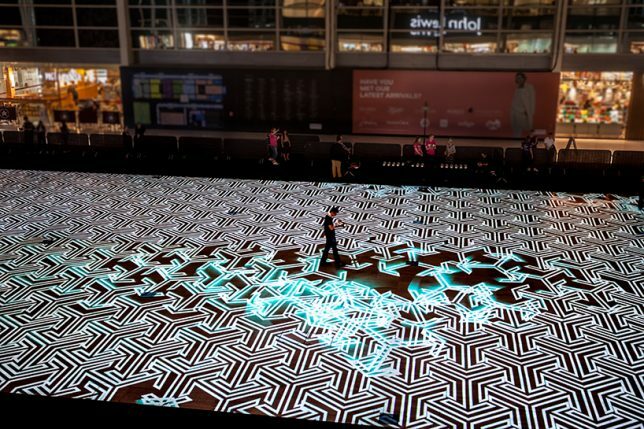 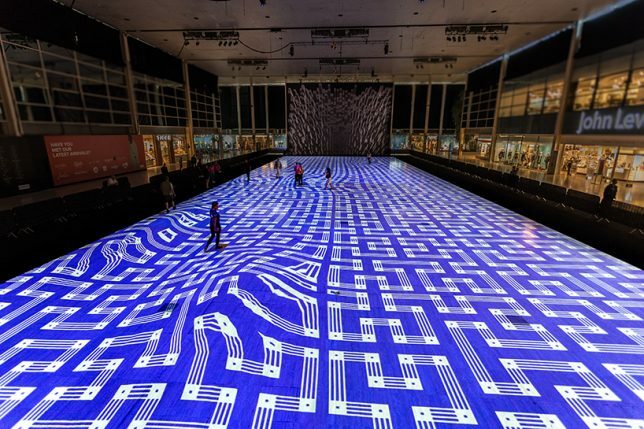 A truly magical carpet ride, this immersive project provides a shifting spectrum of colors and shapes that morph in response to user interactions, changing as visitors walk over the surface. 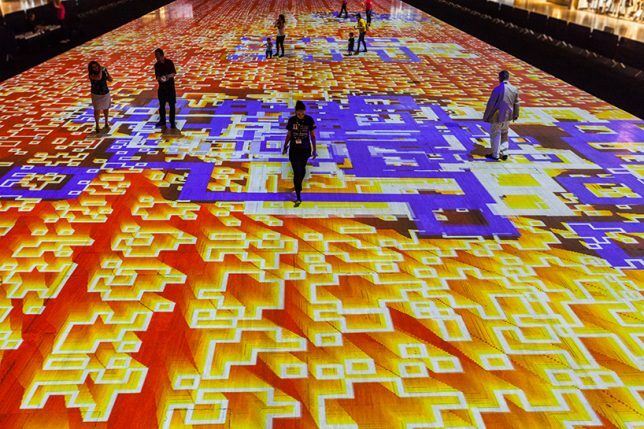 Thousands of patterns, pixels, cells and geometries are tied into an array of sensors, reacting to individuals and groups as they pass over the dynamic surface. 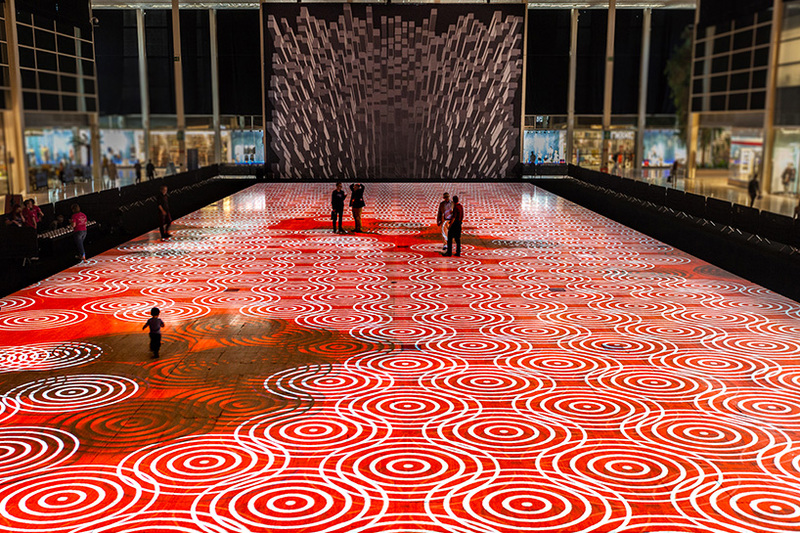 Commissioned by the 2016 Milton Keynes International Festival, Miguel Chevalier’s generative installation flows between a set of ever-changing landscapes with pieces that multiply, divide and merge. 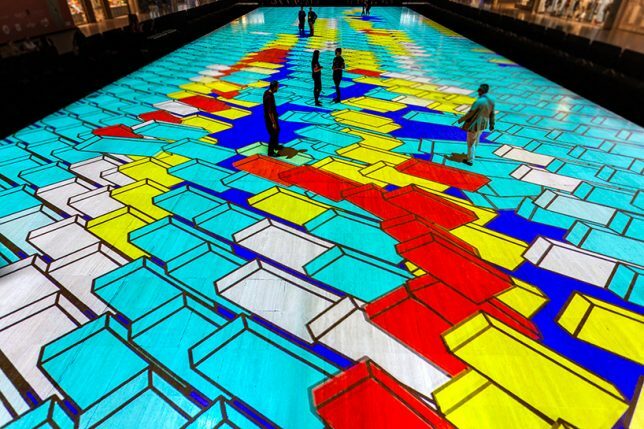 The effects are triggered and amplified by users, whose perception of space changes and warps with the projections (vertigo sufferers beware). 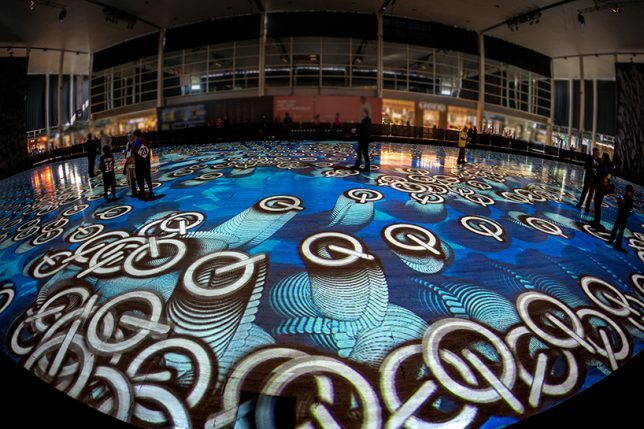 The artwork is accompanied by a custom mobile sound installation by Ray Lee. 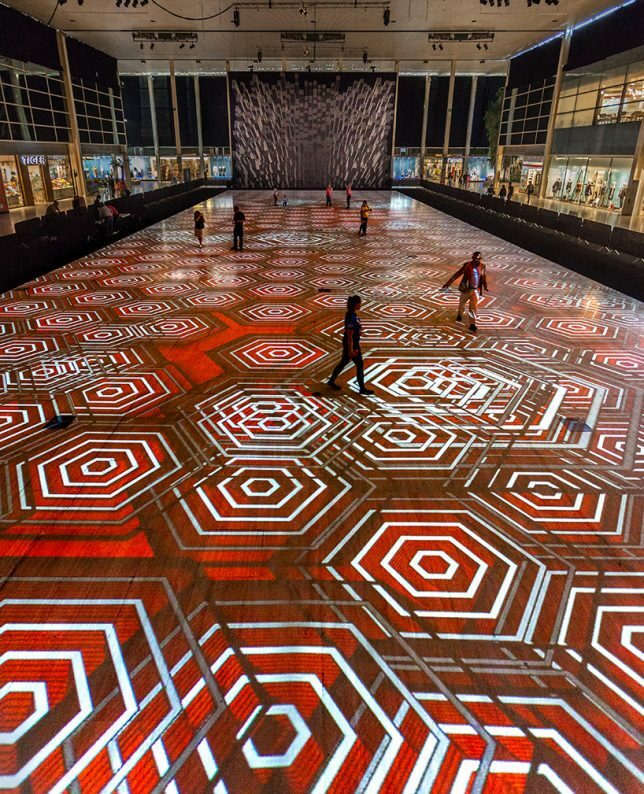 If you missed this particular installation, no need to worry: Miguel plans to keep taking the shop on the road, unrolling the red (and green and blue and black and white) carpet for more audiences in other places.